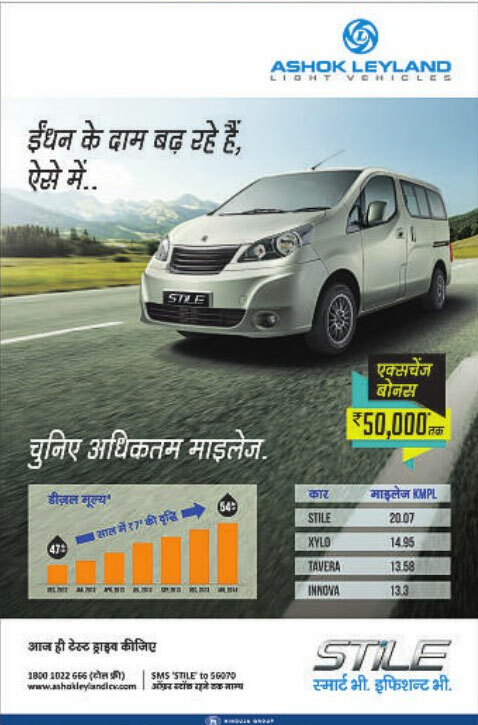 Ashok Leyland launched Stile MPV few months back which was focused for Taxi, tourists and fleet service owners. The vehicle was slightly reformed version of Nissan Evalia. Major differences in both the vehicles are in terms of looks, open-able rear window and some minor tweaks. This vehicle is available with an exciting exchange bonus of Rs. 50,000. As per the company the Stile MPV provides maximum mileage in diesel engine MPV range. Company claims the mileage of this vehicle to be 20.07 KMPL.